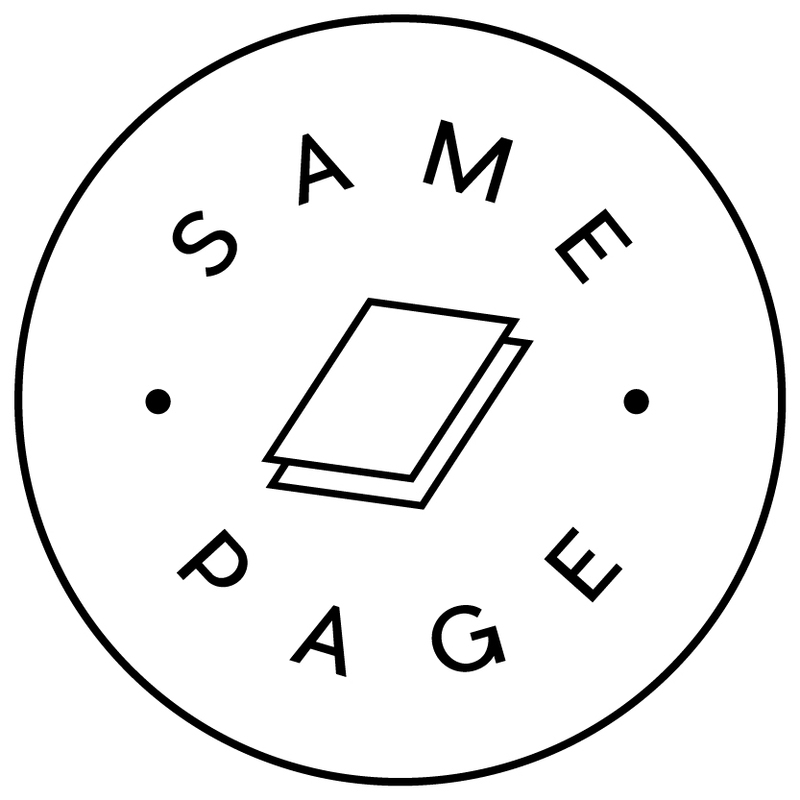 Founded by Clara Altimas and Anna Hopkins, and Mark Waters serving as in-house producer, The Same Page is a film collective with a desire to write, laugh and create content it believes in. Underpaint follows a woman’s trajectory through a museum; artworks evoking a gamut of emotions surrounding grief, as well as surfacing happy memories of her late father, a painter himself. This film aims to blend paint and motion photography to tell a very personal story about Anna’s father, the late Canadian painter Tom Hopkins. Emmy award-winning VFX producer Mike Gibson has come on board to help achieve this surrealist approach to the film. A grounded nine year old girl is forced to organize basement junk as punishment, and comes across an old 1980's video game console, transporting her back in time to chat with a young musician who is also struggling with limitations of his situation, neither of them realizing they are communicating through a parallel universe. When a woman who knows nothing about art history finds herself arrested for accidentally defacing the most influential art work of the twentieth century, she must think quickly and use the very ideas she ends up learning about modern art to her advantage, in order to get herself out of a precarious situation. Two estranged sisters are unwillingly brought together to co direct their hometown’s annual Christmas play in order to honour their mother’s dying wish. Jeremy and his boyfriend Cruz want to have a baby. Their friend Margot, who may or may not be in love with Jeremy, is going to be their surrogate. What could possibly go wrong? Benson is a feature length dark comedy following Benson Wright an overeating, improv teacher and single dad through the struggles and ever so rare triumphs of life in the aftermath of his wife’s death. This is a teaser for the feature film which is currently in development. A satirical short film presenting trendy initiatives promoting girl power and bandwagon politics in a talk show setting – In development to be turned into a web series. Clara Altimas is a writer, director and actor originally from Montreal, now based in Toronto. Her short film JEREMY AND MARGOT MAKE A BABY, which she wrote, produced, and acted in premiered at the Austin Film Festival (October 2016) and was released online as part of the NSI’s film festival (November 2017). Clara is in development on two features and completed the Telefilm Canada Feature Comedy Exchange with her feature script SMALL POND GLORY this past spring (2018). Clara is currently shifting her abilities into the tv world, working in the writing room on half hour comedies CRAWFORD (CBC) and KIM'S CONVENIENCE (CBC) and directing the digital series OFF KILTER (CBC). Clara studied screenwriting with the UCLA Extension Program and completed a residency in the Writer’s Lab at the Canadian Film Centre. She attributes her love of story and character to her extensive training in acting; she studied Meisner technique with the late Jacqueline McClintock, scene study and script analysis with the renowned Larry Moss, and improvisation at Toronto’s Second City. Originally from Montreal, Anna Hopkins now splits her time between Los Angeles and Toronto. She has worked extensively in film and television, from starring alongside Paul Giamatti in critically acclaimed BARNEY'S VERSION to playing fan favourite series regulars and recurring characters on television shows such as SHADOWHUNTERS (a role that earned her a Teen Choice nomination for Choice TV VIllain), ARROW and THE EXPANSE. In conjunction with acting, she is busy developing original material. Her short film directorial debut, THE GIVE AND TAKE was a recipient of a bravoFACT! production grant, and had its US premiere at Hollyshort Film Festival (2018), and is continuing the festival circuit. Anna was shortlisted as one of ten artists within the US and UK by the prestigious KSF Foundation for their Artist Choice Award (2017) for her short screenplay which she is set to direct, MAMA OF DADA, a surrealist comedy about the modern art world. That screenplay also recently won top prize at the Nashville Film Festival (2018) for Best Comedy Short. Anna can next be seen going head to head opposite Kim Coates in the explosive new season of BAD BLOOD on City TV, and is currently filming TIN CAN, Seth A. Smith’s new bio-sci-fi film where she is playing the lead role.